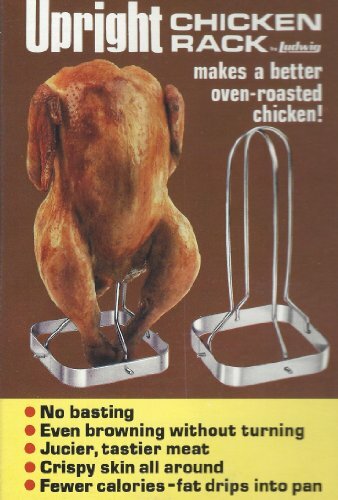 Have you ever used an upright chicken roaster? As the weather cools down, we do a lot of roasts and whole chickens in the oven. It’s nice to heat up the oven and not worry about it making the house too hot. The only thing that I don’t like about roasting chickens is that the chicken sits right in the drippings as it cooks. Even when I put the chicken on a rack, it doesn’t help keep it crisp and the bottom gets all soggy. I’d prefer that the entire outside of the chicken was crisp while keeping the inside moist. I received a product for this post. This post contains affiliate links, and I will receive compensation if you make a purchase after clicking on my links. I recently learned of an Upright Chicken Roaster from Reco that relies on gravity and cooks both from the inside and the out to produce a delicious, moist roast chicken. The Upright Chicken Roaster is an open roaster that has a central shaft that holds the chicken in an upright position while cooking. 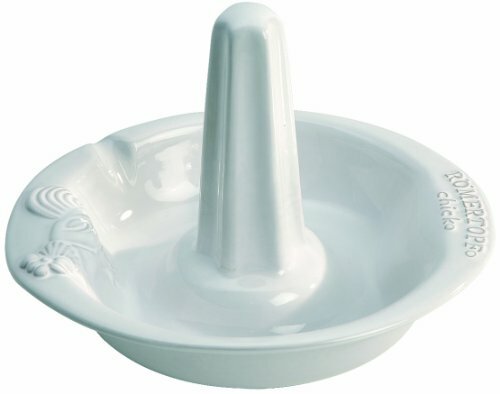 This allows the juices to penetrate down through the meat while it keeps them away from the chicken itself. The roaster is made from stoneware that conducts heat into the chicken’s cavity cooking from the inside out as well as the outside. You simply place the roasting chicken on the roaster with the drumsticks down and season it. The tray around the bottom of the Upright Chicken Roaster will catch any drippings and you can add in potatoes and vegetables for a complete meal in one. The Upright Chicken Roaster will hold a 3 to 9-pound chicken and as an average, a 6 1/2 pound chicken takes about an hour and a half to cook. Now that's a great way to cook a chicken. I bet though veggies at the bottom are juicy!! Thanks for taking the time to share!! I am so inspired to buy a roaster dish like that! Oh my goodness, I have never tried one of these. 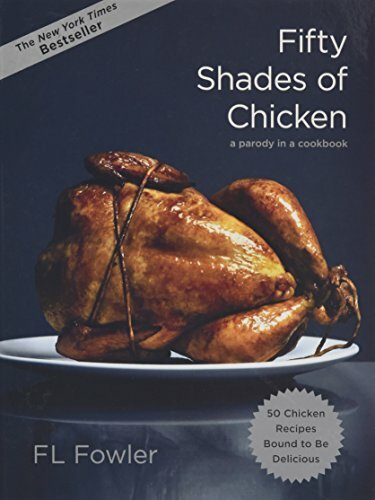 I bet the chicken does come out really delicious! We eat a lot of chicken at our house since it's the only meat my 3 year old will eat! I think I'll have to purchase one of these roasters! Thanks so much for sharing! Great review. Sounds like something I am going to have to invest in. I love chicken and I like mine crispy on the outside and moist on the inside too!